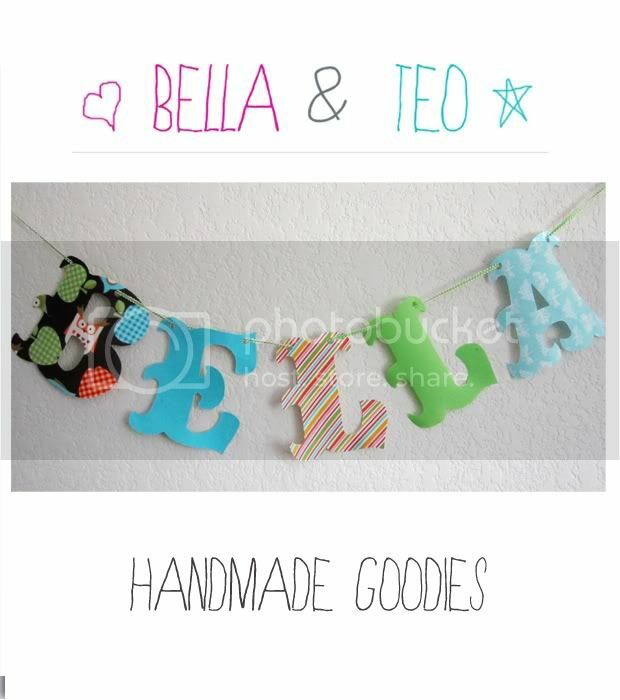 I love to make cute felt appliques to add a special touch to my kids tee shirts or pants. I have honestly tried every way possible to make them and I feel i have mastered the whole process well enough to share it with you. 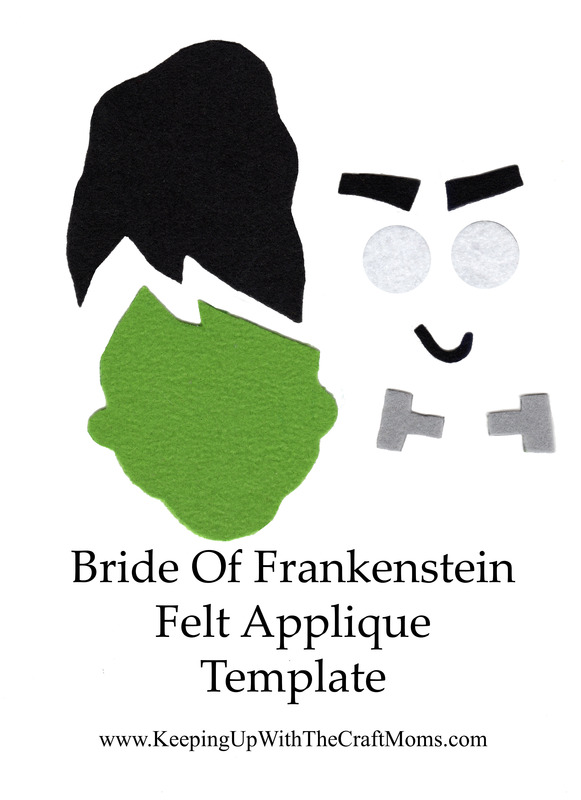 For this felt applique tutorial I will be making Halloween appliques. 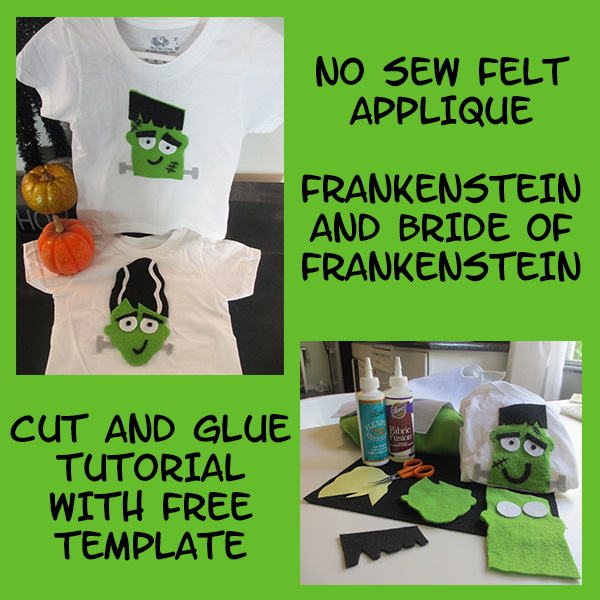 This year my family is being The Frankensteins, so I decided to make us a a set of “The Bride Of Frankenstein” and “Frankenstein” himself. You can use the craft felt found at Michael’s and Joann Fabrics or polar fleece if you happen to have some in your fabric scrap pile. 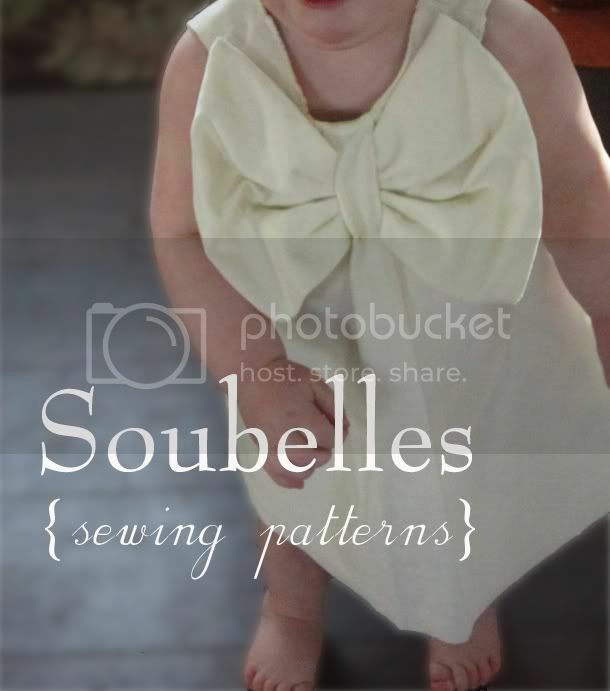 These Fabrics do not fray so you are good to go once your shapes are cut out . Of course, there are many ways to make a felt applique, but for this project I chose to use a hand cut template I drew myself and then fabric glue to attach them to the fabric. Yes, I know ALL about using fusible web….but they really don’t last more than one trip in the washing machine. If you go the Heat ‘n Bond fusible web route, you really have to sew the whole applique down to the fabric after you iron it on. I have tried about five different highly recommended fabric glues over the years and the winner is Aleene’s Flexible Stretchable Fabric Glue. It is non toxic, stays put through machine washing, and leaves your applique soft and pliable once dry. A lot of the other ones dry to a stiff board texture and can feel and look too stiff, especially on a kids shirt. If you need a more rigid applique for your particular project then I suggest Aleene’s Fabric Fusion. Both glues are pictured above. 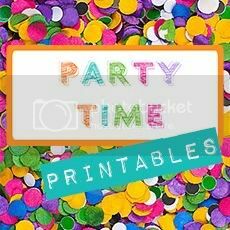 After you have set aside your different color felts, you will need to print the following full size templates. This is the actual scan of my felt shapes and the easiest method is to print theses on sticker paper. Next, cut out the stickers and place them on the back of the matching color felt. 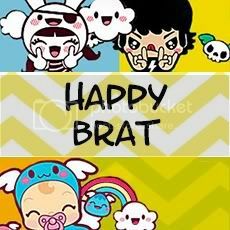 Now, you have an easy sticker template attached to your felt. Grab your favorite scissors and cut out your shapes. Before glueing your felt applique onto your fabric you will need to protect the inside of it with a sheet of wax paper or plastic wrap. This will prevent any fabric glue from soaking through to the back of the tee-shirt, etc. Use a light coat of fabric glue on the back of your felt pieces and lightly pat them into place on your fabric. Once the entire applique is glued down, set it aside in a flat dry place for 24 hours. 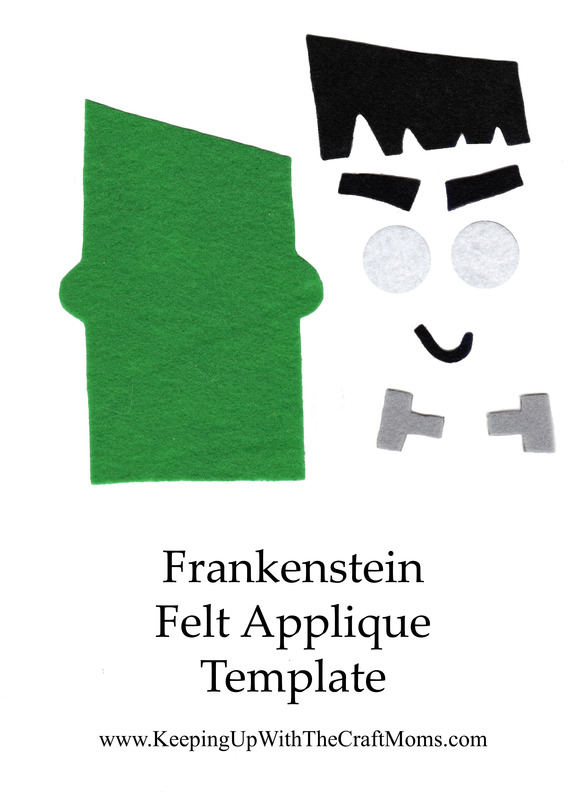 This method is great for anytime of the year and I hope you enjoy the Halloween templates.